Whether you are a professional athlete, high performing amateur or just enjoy exercise as part of your general well-being programme, your gut health is a vital factor in determining how effectively you can perform. Symptoms such as abdominal cramping, heartburn, indigestion, sore throat, cough, breathlessness, loose stools, constipation or incontinence are common and will all adversely affect your sporting performance, preventing you from training effectively. Sometimes these symptoms are caused by the way your body reacts to certain foods and nutrients, other times it can be due to the way the nerves and muscles of the gut are interacting. If simple lifestyle changes aren’t helping then you need understand what’s causing your symptoms and implement solutions to improve them. At Functional Gut Sport Clinic that’s what we do! If you have the mental strength, determination and commitment to want to live an active and healthy life but your gut health is holding you back, we think you need a helping hand to remove this obstacle from your path. That’s why we have brought together medical, scientific, dietetic and personal training expertise because we believe you deserve the best possible outcomes. Our team comprises a Specialist Sports Gastroenterologist, Sports Dietitian, Clinician GI Scientist and personal trainers whose combined expertise can assess how your gut is functioning, provide an objective diagnosis and implement validated treatment strategies to improve your nutrition, gut health and sporting performance. Gastrointestinal symptoms are common and occur in up to 90% of athletes. Recent studies have shown that elite and recreational athletes may be equally affected. Symptoms of bloating, abdominal cramping, flatulence, altered bowel habit and nausea can disrupt your ability to exercise effectively and may indicate a more severe underlying condition. Changes of blood flow and barrier of the gut may be responsible. Symptoms may arise from pathological processes including inflammation, infection and malignancy, but are often functional or physiological in nature. Effective management involves detailed review of the athlete’s diet, training strategies and medical history. This is a new and emerging specialty within gastroenterology and our team has been on the cutting edge of research in this area. After completing our online symptom form your file will be triaged and you will be put in touch with the most appropriate team member for a face to face or skype consultation. From here we can discuss your history in detail and come up with an agreed treatment and / or diagnostic plan. Acid reflux describes the process by which stomach contents come up through the valve at the bottom of your food tube (oesophagus) and can reach as high as the nose and throat. This typically causes symptoms such as heartburn, regurgitation, chest pain and belching. But in severe cases when the acid is coming into the throat and airway this can cause sore throat, voice changes, breathlessness, cough and build up phlegm. As acid reflux is made worse by increasing abdominal pressures then exercise can often make reflux symptoms worse. 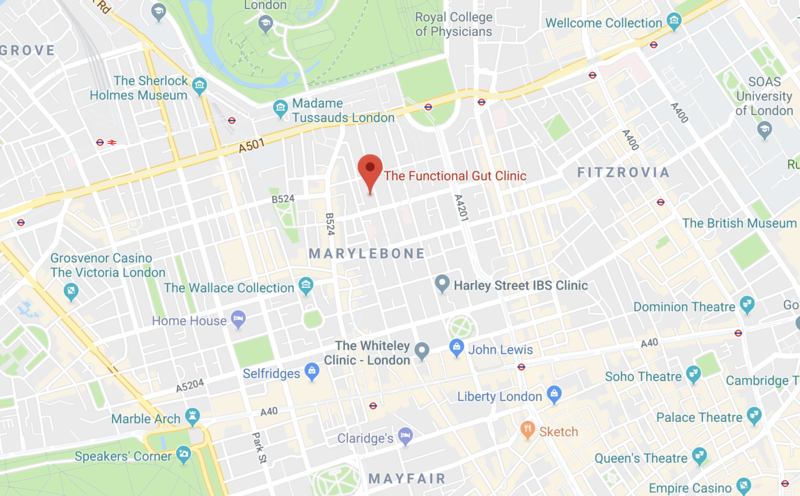 Our clinic has state of the art facilities for reflux testing and collaborations with Gastroenterologists, Upper GI Surgeons, Respiratory and ENT specialists to provide a truly multi-disciplinary approach to help diagnose and treat the causes of your acid reflux. After completing our on-line symptom form – your file will be triaged and you will be put in touch with the most appropriate team member for a face to face or skype consultation. From here we can discuss your history in detail and come up with an agreed treatment and / or diagnostic plan. Damage of weakness of the pelvic floor muscles can lead to symptoms of pelvic pain, incontinence, constipation and defaecatory dysfunction all of which can be extremely troublesome when trying to plan you exercise and training schedule. Our clinic has state of the art facilities for pelvic floor testing collaborations with Gastroenterologists, Uro-gynaecologists, Lower GI Surgeons and pelvic floor rehabilitation nurses and physiotherapists to provide a truly multi-disciplinary approach to help diagnose and treat the causes of your pelvic floor problems. After completing our on line symptom form – your file will be triaged and you will be put in touch with the most appropriate team member for a face to face or skype consultation. From here we can discuss your history in detail and come up with an agreed treatment and / or diagnostic plan. You may not have any gut symptoms when training but are just not able to make the progress you feel you should be making whether in terms of gaining muscle mass, improving fitness or reducing body fat. Our in house specialists can provide help and advice to design optimized programmes that can be individually tailored to help you achieve your goals. After completing our on line symptom form – your file will be triaged and you will be put in touch with the most appropriate team member for a face to face or skype consultation. From here we can discuss your history in detail and come up with an agreed programme plan. Once triaged you will be offered an initial consultation which will either be face to face with Rick Miller (Specialist Sports Dietitian) or via Skype with our specialist gastroenterology Consultant Dr Rob Fearn (fees shown below). After this initial process specific testing option will be discussed and a clinical plan developed if needed. We can accept both insured and self pay patients. We are also offering a fitness programme advice service with Greg Williams and Cathy Brown founders of Boxology https://www.boxology.academy/ upon request. A consultant physician and gastroenterologist, Dr Fearn specialises in gastrointestinal physiology and clinical nutrition with a specific interest in managing gastrointestinal complaints in athletes. After graduating from Medical School at Leeds University, Dr Fearn undertook specialty training in gastroenterology, nutrition and intestinal failure in London and Cambridge. He obtained his master’s degree in Sports and Exercise Medicine from the University of Bath. Dr Fearn has worked as team physician for Barnet Football Club and the Welsh national football team. He has extensive experience in equestrian sport and was part of the Sports Medicine team for the London 2012 Olympics and was Chief Medical Officer for Great Britain at consecutive international multi-sports tournaments. A member of the medical panel for the British Boxing Board of Control for over 10 years he continues to work with professional boxing. Dr Fearn has helped to develop the field of clinical sports gastroenterology in the UK and has lectured on the subject internationally. He is widely published in the area and is involved in supervising ongoing research with the elite performance nutrition group at Liverpool John Moore’s University. The aim of this research is to further elucidate the role of the gut in athletic performance and to identify strategies to help athletes suffering from these conditions. Rick is a clinical and sports performance dietitian based in central London. He trained at The University of St Andrews in Human Biology and Loughborough University in Sports Nutrition before completing his clinical training as a Dietitian. He has worked across a large number of clinical specialities in the NHS and private sector and is a senior lecturer in Dietetics at various Universities. He has supported a number of athletes at Olympic standard at the 2008, 2012 and 2016 games. Anthony has vast experience of gut physiology testing across the NHS and private healthcare sectors as well as in academia and the pharmaceutical industry. 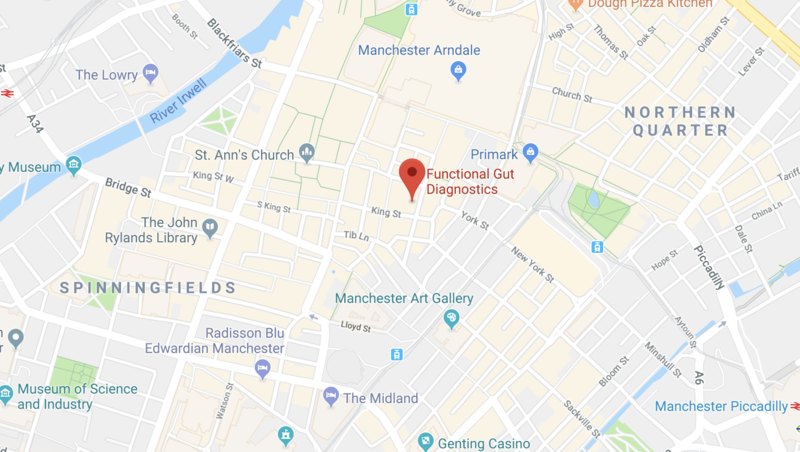 Anthony trained in Manchester and gained a broad base of experience in assessing gut function from ‘top to bottom’ covering areas such as gastro-oesophageal reflux disease, Irritable Bowel Syndrome (IBS), incontinence and constipation. Anthony’s long standing vision is that the highest quality Gastro-Intestinal Physiology testing should be available to all patients and as such he has set up mobile clinics with several NHS centres to provide these services across the UK. Greg sees himself as more of a sports performance coach than a personal trainer. Having been raised in a competitive martial arts family, Greg studied and competed in full contact arts from a young age and travelled around the world, developing his knowledge and coaching skills within his sport. Cathy was the second woman to acquire a professional boxing license in the UK, before going on to win both the English and European titles and rank number three in the World. She is a Professional boxing coach, Personal Trainer/Sports Performance Coach and Cognitive Behavioural Therapist at Third Space Soho. Please call us now on +44 (0) 207 486 7777.